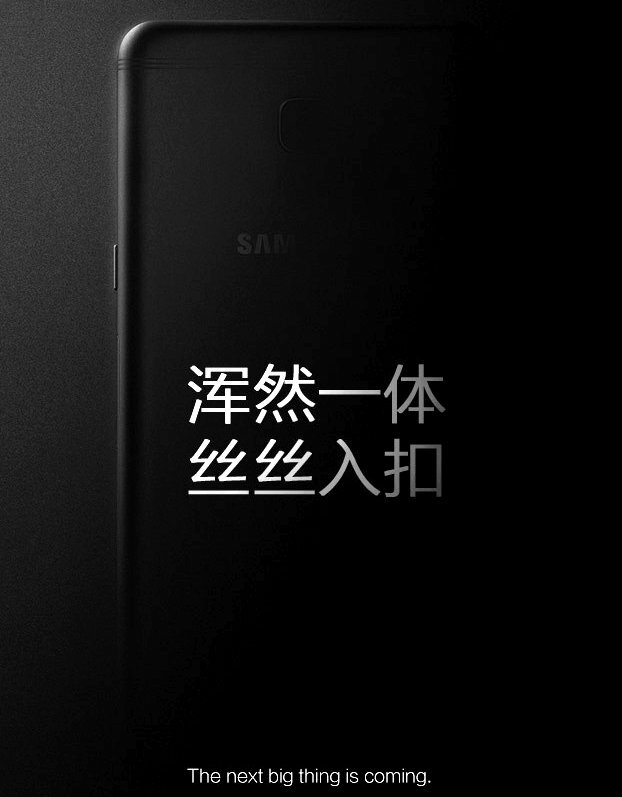 Samsung has released a teaser for a new smartphone in China that says The next big thing is coming. The image in the teaser shows a phone with metal body. The camera is present in the centre and there are antenna lines are seen above it. This could be the rumored Galaxy C9 that surfaced in benchmarks recently. The smartphone also got certified by the FCC few days back confirming 4000mAh battery for the smartphone. It also got Bluetooth and Wi-Fi certification. The Samsung Galaxy C9 is expected to be announced in China later this month.